Canada has a number of progressive public policies which can influence health. In this blog we briefly look at 6 potential lessons for NZ in the domains of: (i) responding to climate change; (ii) supporting cycling; (iii) tobacco control; (iv) controls on food marketing directed at children; (v) healthy food guidelines; and (vi) cannabis law reform. Canada is a high-income country that has some cultural, legal and organisational similarities to New Zealand (NZ). Canada’s current government is also relatively progressive on various health and social issues. For these reasons, the Canadian policy experience may be relevant to NZ and be worth studying. Here we look at six stand-out areas of potential public health significance for NZ. There is international survey data to suggest that charges on greenhouse gas emissions can be popular with the public if revenues are given back to citizens . 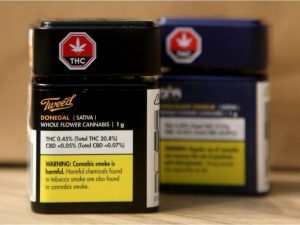 This year Canada is proposing to expand such a scheme, as used in British Colombia (BC), to other provinces. In the proposed scheme, 90% of the revenues will be returned to citizens as per-capita dividends . The successful BC scheme has been associated with majority public support and it “now funds more than a billion dollars a year in other tax cuts” . While things may improve in NZ with a new Climate Commission, the above type approach in Canada seems superior to NZ’s current Emissions Trading Scheme [ETS]. NZ’s ETS has numerous design problems that include its strange hybrid structure and exclusion of the critically important agricultural sector [3-6]. Some Canadian cities have facilitated cycling more effectively than in similar NZ urban areas. For example, the city of Victoria in BC has achieved 11.5% of journeys to work by cycle . In contrast, the highest proportion for a NZ city is Nelson, at 7.2%, and we have a national average of only 2.5% (albeit from a 2009 study ). Canada’s most “bikeable” cities have been “expanding their cycling networks through formal action plans, such as: Victoria’s “Biketoria”, Vancouver’s “Transportation 2040”, and Montreal’s “Cycling Action Plan” (Source). In particular, these Canadian cities all actively promote cycling as a safe, everyday mode of transportation for all ages and abilities. Many Canadian Provinces have banned smoking in cars with children. Furthermore, there is evidence that such legislation has reduced child exposure to secondhand smoke in this setting . Multiple NZ Governments have been very slow to move on this issue – but the current Government has suggested it will introduce legislation later in 2019. Canada has prohibited most tobacco flavours in 2008 and Ontario is currently legislating for banning all flavours. A recent study showed that implementation of “a menthol ban in Ontario was associated with significant reduction of menthol cigarette sales and total cigarettes sales, compared to British Columbia where there was no provincial menthol ban” . Since 1980, the province of Quebec in Canada, under the Consumer Protection Act, has prohibited commercial advertising directed at children . This applies to children under the age of 13 when children consist of 15% of viewership, and the product is exclusively designed for children. There is some evidence to suggest that this law is working with one study finding: ‘a statistically significantly lower percentage of the Quebec French food advertisements were classified as either high fat, sugar or sodium and a smaller proportion of food ads were classified as “less healthy” compared to the Ontario and Quebec English samples’ . Another study has reported that this advertising ban decreased the propensity to purchase fast food by 13% per week . In contrast, NZ only has weak industry self-regulation around the marketing of junk food to children and NZ health experts have identified the need for government regulation in this area . 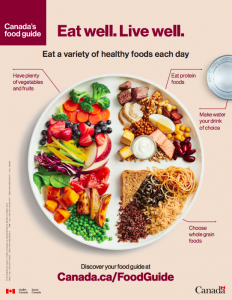 Canada’s new Food Guide was launched in January 2019 and appears to have been well-received in and outside of Canada. 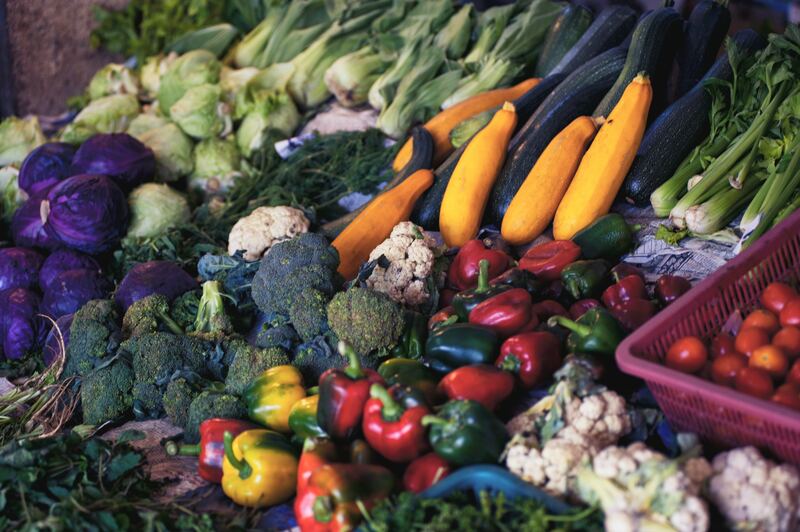 The Food Guide emphasises how to approach eating food, rather than listing numbers of recommended food group servings, portions, and nutrient levels – easy, relateable advice that applies to everyone. In contrast, someone looking for NZ’s food guide seems to have to sort through a dizzying array of population groups, background papers, websites, and links. Notably, in this new food guide “dairy” isn’t its own category. Instead, “healthy dairy” is listed as an option for protein or unsweetened drink. Juice and sweetened dairy are no longer promoted. In addition to helping the population improve their own eating habits, having a government-issued document that provides clear guidance such as “make water your beverage of choice” provides the basis for implementing sound nutrition policies (e.g., stopping the provision of unhealthy drinks in schools). “WARNING: Do not drive or operate machinery after using cannabis. More than 4,000 Canadians were injured and 75 died from driving after using cannabis (in 2012)” . So as NZ explores how best to change the law around cannabis – it should consider trying to learn from the Canadian experience. Obviously, the NZ Government (and local governments in NZ) need to determine what are their own health and social priorities. Local consideration can capture the likely health impact for the local population, impact on reducing health inequalities in NZ and advancing Māori health, and aspects of cost-effectiveness (with the latter detailed in this online league table , and discussed in various Public Health Expert Blogs on league tables eg, ). But when interventions are in place in other jurisdictions, as the above ones are in at least parts of Canada, then this can be helpful for NZ policy-makers. Besides providing evidence of effects, the use of the interventions suggests some level of political feasibility of the policy. NZ should continue to learn public health lessons from such progressive places. Carattini S, Kallbekken S, Orlov A. How to win public support for a global carbon tax. Nature. 2019;565(7739):289-291. Demerse C. Proof Positive The Mechanics and Impacts of British Columbia’s Carbon Tax. Clean Energy Canada, 2014. http://cleanenergycanada.org/wp-content/uploads/2014/12/Carbon-Tax-Fact-Sheet.pdf. Bertram G, Simon T: The Carbon Challenge: New Zealand’s Emissions Trading Scheme. Wellington: Bridget Williams Books; 2010. Ecofys World Bank. State and trends of carbon pricing 2014. Washington: World Bank, 2014. Chapman R: Time of Useful Consciousness: Acting Urgently on Climate Change. Wellington: Bridget Williams Books; 2015. Winters M, Teschke K, Brauer M, Fuller D. Bike Score(R): Associations between urban bikeability and cycling behavior in 24 cities. The international journal of behavioral nutrition and physical activity. 2016;13:18. Tin Tin S, Woodward A, Thornley S, Ameratunga S. Cycling and walking to work in New Zealand, 1991-2006: regional and individual differences, and pointers to effective interventions. The international journal of behavioral nutrition and physical activity. 2009;6:64. Kennedy RD, Elton-Marshall T, Mutti S, Dubray J, Fong GT. Understanding the impact of the Smoke-Free Ontario Act on hospitality establishments’ outdoor environments: a survey of restaurants and bars. Tob Control. 2010;19(2):165-167. Elton-Marshall T, Leatherdale ST, Driezen P, Azagba S, Burkhalter R. Do provincial policies banning smoking in cars when children are present impact youth exposure to secondhand smoke in cars? Prev Med. 2015;78:59-64. Chaiton M, Schwartz R, Shuldiner J, Tremblay G, Nugent R. Evaluating a real world ban on menthol cigarettes: an interrupted time series analysis of sales. Nicotine Tob Res. 2019. Potvin Kent M, Dubois L, Wanless A. A nutritional comparison of foods and beverages marketed to children in two advertising policy environments. Obesity (Silver Spring). 2012;20(9):1829-1837. Dhar T, Baylis K. Fast-Food Consumption and the Ban on advertising Targeting Children: The Quebec Experience. Journal of Marketing Research. 2011;XLVIII:799 –813. Swinburn B, Vandevijvere S, Woodward A, Hornblow A, Richardson A, Burlingame B, Borman B, Taylor B, Breier B, Arroll B et al. Proposed new industry code on unhealthy food marketing to children and young people: will it make a difference? N Z Med J. 2017;130(1450):94-101. Government of Canada. Cannabis health warning messages (Date modified 2018-07-11). https://www.canada.ca/en/health-canada/services/drugs-medication/cannabis/laws-regulations/regulations-support-cannabis-act/health-warning-messages.html. University of Otago & University of Melbourne. ANZ-HILT: Australian and New Zealand Health Intervention League Table (Vers 2.0) 2019 [Available from: https://league-table.shinyapps.io/bode3/]. Blakely T, Wilson N, Kvizhinadze G, Cobiac L. Comparing health interventions in a meaningful way – Introducing the BODE3 Interactive League Table. Public Health Expert Blog 2017;(14 August). https://blogs.otago.ac.nz/pubhealthexpert/2017/08/14/comparing-health-interventions-in-a-meaningful-way-introducing-the-bode3-interactive-league-table/.